In the real world, sports fixtures start and end leaving you with just a small windows of entertainment. At Betway, you can enjoy sports betting action round the clock with Virtual sports. These sporting events use statistical models to play out results of fixtures in a fraction of the time of their real-world counterparts. 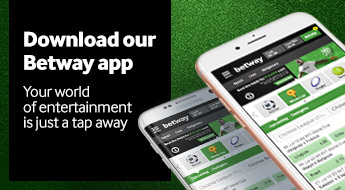 At Betway, we offer a selection of the world’s most popular sports in our Virtual tab. Each Virtual sport offers a wide range of betting options with new fixtures starting every few minutes. Register now and start your virtual online sports betting adventure. With the EPL, La Liga, and Serie A there is always plenty of soccer to bet on when the season is in full swing. However, seasons end and the soccer betting drought seems to last months. Not anymore. With Virtual Football league you can bet on soccer throughout the year. In addition to offering endless soccer action, there are a number of exciting betting options to take advantage of with Virtual Football League. The betting types are split into three main categories: Matches, Match Day and Season. Match bets allow you to bet on individual fixtures. Match Day bets allow betting on the combined results of all the fixtures over a match day. Finally, with Season bets, you can bet on outrights that take into account the results of the entire season. Experience the excitement of betting on the entirety of a tennis tournament in a fraction of the time with our Virtual Tennis Open. The Virtual sports tournament offers betting on a Round of 16, Round of 8, Semifinal and Final. An entire tournament can be completed within half an hour with a new tournament commencing soon after its conclusion. During each round of every tournament, you’re given the option to place bets in three main categories: Winner, Odd/Even – Over/Under and Correct Score. Winner simply requires you to bet on who you think will win a match. Odd/Even – Over/Under and Correct Score offer betting types on the results of matches, sets and games. Offering one of the most extensive selections of betting options of all the Virtual sports, Virtual Basketball League offers the thrill of betting on the NBA all year round. Betting on Virtual Basketball League, you have the option to wager on six main betting categories: Winner, Total Points, Winning Margin, Handicap, Race to X, and Team Totals. You can place Fulltime and Halftime bets under Total Points, Winning Margin and Handicap. Winner offers betting options on the Final Results of a game, which quarter will feature the highest scoring and the Score at Halftime. Finally, you can predict which team will score 20, 40 or 60 points first with Race to X bets and Over/Under bets on the total points score by each team with Team Totals. 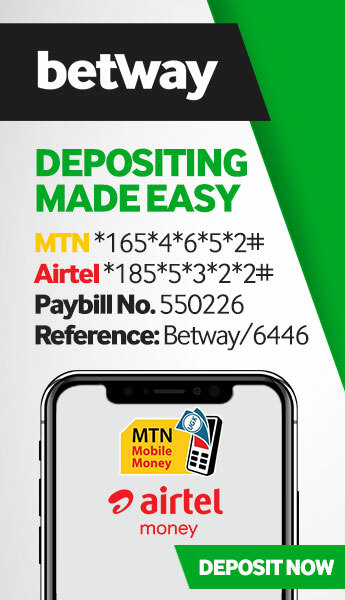 At Betway, you don’t have to wait for the Kentucky Derby or the Grand National, you can bet on both horse racing and dog racing 24/7 with Virtual sports. Our Virtual Horse Classics and Virtual Dog Races let you experience all the excitement of racing any time of the day or night from the comfort of your favourite chair. The betting options for both Virtual Horse Classics and Virtual Dog Races are split into three main categories, Win/Place, Forecast and Tricast. Forecast and Tricast require you to bet on the top two and three placed finishers respectively. Win/Place offers you the option to select any horse or dog you think will either win it all or place in the top three. To start betting on Virtual horse and dog racing, simply visit the Virtual tab and select Virtual Horse Classics or Virtual Dog Races.